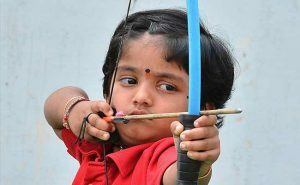 Cherukuri Dolly Shivani (born on April 2, 2012), a trainee of Cherukuri Volga Archery Academy from Vijayawada, Andhra Pradesh, shot 36 arrows in 12 set in 122cm target face from the distance of 20 meters in 5.8min at VMC Volga Archery Field, Vijayawada, on September 10, 2017. She scored 290 points out of 360. 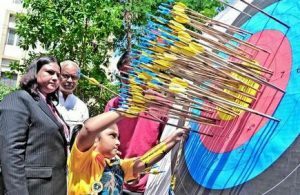 Comments for 36 ARROWS SHOT IN 12 SET IN LEAST TIME are now closed.